On March 10th Anne Marie Hollonds of Quest IRA is going to teach us exactly how to make that happen. 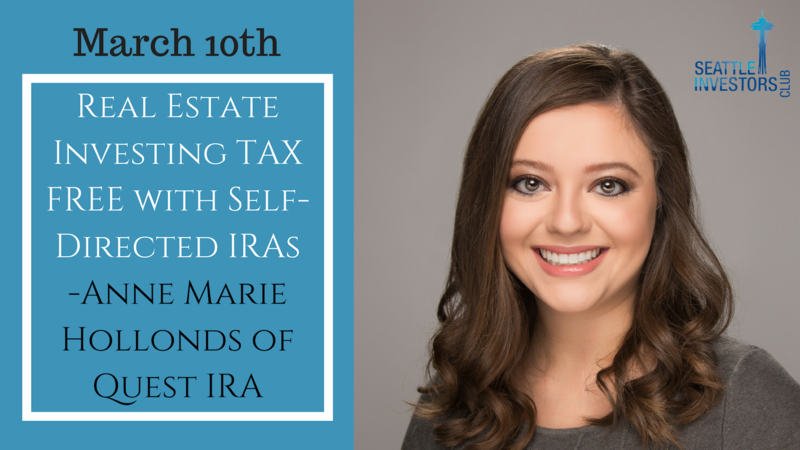 She's not only going to teach us how to investing in real estate tax free, but also how you can borrow from other people's retirement accounts to fund your real estate deals. Snacks will be provided! Just bring a smile, note taking device, and maybe a few business cards. Your first event is FREE! After that it's $25 for non-members OR $220 for the whole year. The annual membership includes access to our private Facebook group, REAL Deal video training, and ALL of our past recorded events!